Featuring a major public performance and a wide-ranging exhibition, Susan Hefuna’s timely, poetic work addressed some of the most potent issues of our time: migration, movement and sensations of togetherness. The focal point of #ToGather will be a free public event to which everyone is invited. 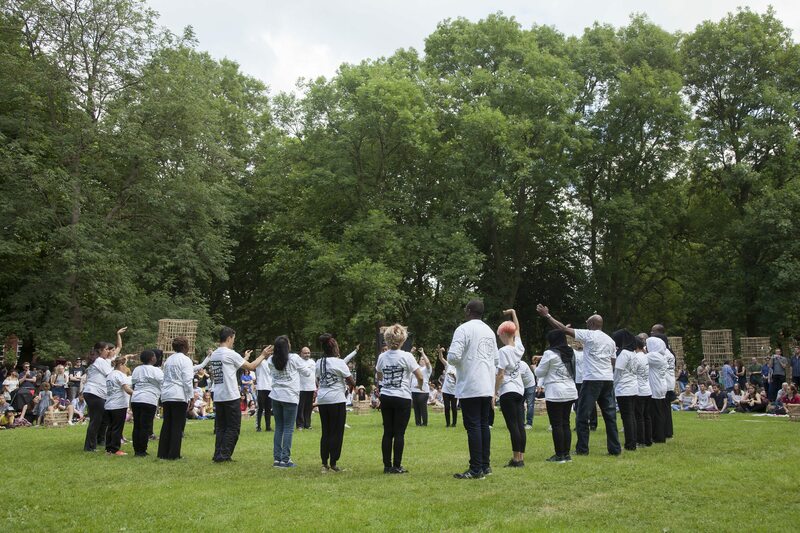 Local residents, originally from fifteen different countries including Iran, Sierra Leone, Trinidad, Pakistan, Albania and Kuwait, traced individual paths through Whitworth Park. Featuring dancers from Studio Wayne McGregor, the work took creative inspiration from migrants’ experiences and stories. Recognising the social importance of food to migrant communities, a wide range of food and drink stalls were available on the day. The exhibition took form of a ‘mental map’, installed in several rooms at the Whitworth and parts of Whitworth Park. A series of palmwood structures, inspired by boxes seen on the streets of Hefuna’s native Cairo, were joined by a rich selection of drawings, vitrines, personal objects and a new digital work, all on themes of migration and separation, gathering and togetherness. ToGather’s multiple parts combined into a hugely moving whole, a work of great significance and power on this most urgent of subjects. For more information please visit the ToGather microsite. Wayne McGregor appeared at Interdependence: We Need to Talk About Technology on Sat 8 July, one of six themed sessions of provocative conversation and new ideas staged every Saturday during MIF17.